As the Thanksgiving holiday fast approaches and you are busily cooking food, preparing your home for family and friends, and outlining your plan of attack for the Black Friday craziness, I suggest another, more sublime occupation: receiving the Eucharist. 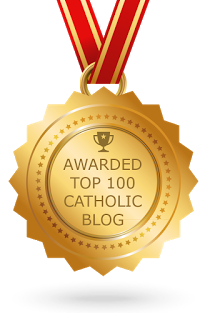 Now, you may be asking yourself, "What does the Eucharist have to do with Thanksgiving?" Well, the word "eucharist" come from the Greek word that means, "thanksgiving." In Jn 6:11, before Christ multiplied the loaves and the fishes (an act that prefigures the Eucharistic feast), He "gave thanks" (eucharisteo). At the Last Supper, when He instituted the Eucharist, He "gave thanks" (eucharisteo) before He turned the bread and wine into His own Body, Blood, Soul, and Divinity (cf. Mt 26:27; Mk 14:23; Lk 22:17,19). for the opportunity to perform the miracle that brings Him glory. It is with a spirit of thanksgiving for all that God has given us that we offer the bread and wine that will become the Eucharist. Of course, we can't help but also thank Him for coming to dwell within us in such a profound way. That our Lord and Savior would come to be in our presence, veiled by bread and wine, and abide in us in a substantial way is a gift unlike any other. And so, on Thanksgiving, when we are to call to mind all that we are thankful for, we should not forget that which is the very meaning of "thanksgiving." 1350 The presentation of the offerings (the Offertory). Then, sometimes in procession, the bread and wine are brought to the altar; they will be offered by the priest in the name of Christ in the Eucharistic sacrifice in which they will become his body and blood. It is the very action of Christ at the Last Supper - "taking the bread and a cup." "The Church alone offers this pure oblation to the Creator, when she offers what comes forth from his creation with thanksgiving" (St. Irenaeus, Adv. haeres. 4,18,4; cf. Mal 1:11). The presentation of the offerings at the altar takes up the gesture of Melchizedek and commits the Creator's gifts into the hands of Christ who, in his sacrifice, brings to perfection all human attempts to offer sacrifices. I realize that the secular holiday has Protestant roots (at least by the popular reckoning), but there's no reason why Catholics can't use this day to call to mind what they are the most thankful for: our Eucharistic Lord. This morning at Mass, the priest mentioned this. The first Thanksgiving or Eucharist was performed at the Mision de Nombre de Dios in St Augustine FL by Spanish Missionaries. Thank you so much for this amazing fact. It gives me goosebumps!!! Many of my protestant friends who do not believe in a Real Presence of the Body, Blood, Soul and Divinity of Christ Jesus in the Holy Eucharist and hold to a symbolic interpretation, have never stopped to think about the first type of bread Jesus gives out at the Last Supper. I usually mention that the only symbolic bread Jesus gave out at the Last Supper was given to Judas by His very hand. This is the bread of the denial of the Divinity of Christ Jesus. And what happens after Judas receives this symbolic bread? Satan enters Judas and each abide one in the other. When they exit the Upper Room, they exit as ONE. Neither of them are witnesses to the Institution of the Eucharist. We Catholic, Orthodox, Coptic, Assyrian, etc., are witnesses to the second type of Bread Jesus gives to the Apostles. 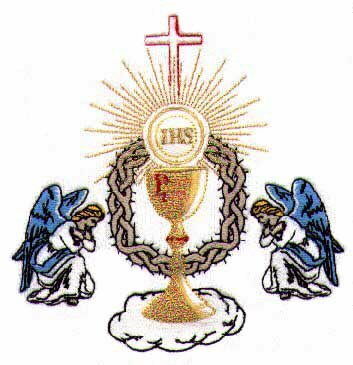 We continue to witness to His Real Presence in the Holy Eucharist each and every time we consume His Flesh and Drink His Blood. For some of us, it's a daily witness, for others it is a weekly witness. And those that proclaim the Holy Eucharist is symbolic, witness to nothing; just like Judas and Satan.